Fathers play a huge role in the lives of young men. Many African American cultural icons- Tupac Shakur, Meek Mill, August Alsina etc. refer to the sorry state of Young Black America as resulting from the absence of father figures while growing up. Without male role models to provide guidance, young males often get lost in life and have to find their way in the world watching their peers and ‘gangbangers’ who often lead them wrong. In my case I have had the privilege of having and learning from 2 fathers- my ‘blood father’ and my ‘mentor father’. In this musing, I will share my first lesson about minimalism that I received from my blood father. My very first memory of my blood father remembers him as a tall, slim, handsome and imposing man. He had 1970s afro-hair and a mustache. His youthful visage still remains ingrained in my earliest memories. I always loved to see him in his night pajamas- a long flowing blue-white striped ‘jalabia’- his slimness and height further accentuated by this flowing gown. He was dark skinned and indeed this one physical feature formed the basis of the earliest politics I knew to play at home while growing up. I always thought in my early childhood that he favored my sister to me. I could only explain this bias as being due to our difference in color. Yes! at only 4-5 years old, I formed my first thoughts about human relations and likability based on skin color. Haha. You see, I was lighter skinned just like my mum and she loved me and would always protect me from my dad’s whippings. Always! In my child’s mind my dad hated me and always wanted to whip me because I was lighter skinned. To me he loved my sister because she looked more like him while my mum loved me because I looked more like her. It was a strange way to discover the world but that was my earliest perceptions strange as it reads. I feared him my father but even in my fear, I loved him. Ours was always a tense relationship of the rawest emotions- love and fear, laughter and tears, happy moments and angry outbursts. He would let me ride his shoulders on the dusty streets of Kaduna in Northern Nigeria and I always feared falling because on his shoulder the ground seemed so far away. But I had no cause to fear. He was an automotive engineer and his hands were strong and his smell too (which I loved to sniff)- of sweat, automotive oils and diesel. His specialty was the diesel engine and he worked long hours as a plant manager with Heineken. His voice was strong and when I had gotten in trouble and he called me, I knew to fear that bass voice especially when it was so richly laced with emotion. In his younger days he was a soul guitarist often playing while working as an oil boy on Greek-flagged merchant ships. But in that strong voice, I also found assurance- that I was loved and that he would protect me. I derived this belief from listening to him pray in the mornings and sing along to the Jim Reeves playing on our tape stereo. My belief in him was further assured when I watched other adults believe in him when he led Sunday School and evangelism in church. I knew I could trust him because others also trusted him and more so because he told me he trusted his big father the one who provides for every living thing. The one he told me about who I had not yet met. 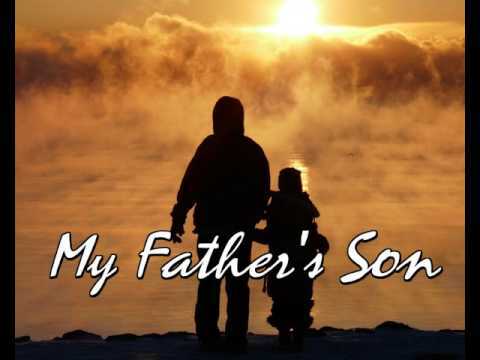 The one he called Jesus, who to me was my father’s father. A father’s strong and steady hand is what a son needs to build his self esteem and find his way in the world. His father’s lessons stay with him forever serving as guideposts when he leaves to navigate the world by himself. One of my earliest life lessons came from the very first time I can remember speaking back to my father. We had moved south to Ibadan in Southern Nigeria fleeing the religious killings of the early 1990s in Northern Nigeria. Those were hard times for my 5 to 6 year old self. I was in a new city, with different people and for the first time not getting whatever I asked for. I was also clumsy at this time. As soon as I was back from school, I would toss my bag in the living room, my unlaced shoes in different parts of the house, my school uniform on my bedroom floor. I was so restless my class teacher put a note in my midterm report saying, “Adebayo is very intelligent. However he is very restless in class”. I could not stay seated longer than 5 minutes. This behavior would eventually bring me into conflict with my father and eventually to learning one of my first lessons in life. You see because I was so restless, I could not lace and unlace my shoes. Lacing my shoes required patience which I could not harness. It was a torture. I never unlaced my shoes when I undressed at home after school. In the morning rush to school I would often tangle the laces as I tried to unlace them in my bid to put on my shoes. I still remember my father patiently helping me severally unlace my shoes as he prepared me for school. I never could figure how to unlace my shoes in the rush to leave home and would often fling them away crying. I hated him shouting my name from the garage ordering me to come into the car when I had still not figured what to do with the laces. I was always the last to be ready. I was always responsible for my sister and I getting late to school. I was frustrated with myself because I could not learn how to lace and unlace my shoes even after several lessons from my father. I thought that if I had one more pair of shoes then I would not have to suffer so much. So this one morning when my father reprimanded me for again delaying everyone as I struggled with my laces, I switched up on him screaming, “If you only bought me another pair, this would not be happening!”. I regretted the words as soon as I had spoken them. I thought I would get a spanking- I knew my father could be short-tempered. But I was surprised by his response. My father gave me a wry smile and said to me, “Even if you had another pair, you will still not be happy because you have not managed the little you have. In life, happiness does not come from the abundance of what you own nor can you have more if you have not shown yourself to appreciate what little you have by properly taking care of it”. He then knelt beside me, helped me unlace my shoes and put them on. He won my respect that day. Not the whippings, not the angry reprimands- none of that had won respect for my father in my eyes. I had only feared him. But from the moment he spoke this truth which my childhood soul young as it was knew to be true, he became my teacher. A teacher of life I have learned to trust to this day. I asked him later that evening to teach me how to lace my shoes again and this time I put my mind to truly learn how to do it. And every morning until I perfected lacing my shoes, he was there to watch me do it. From that day I have gone to him to ask questions about my homework, my maths, my physics, my business, in fact literally everything related to this thing called life. My father has since taught me many lessons, many of which I will share in these collection of musings in future posts. However the most defining for me is this first guidepost on minimalism which I remember as my very first life lesson from him. Indeed his advice to me on properly managing what little I have has defined my minimalist lifestyle today. It has also made me less covetous and only getting what I really need. This has helped me focus on what matters in life- how to live a life of impact that helps other people especially the downtrodden. The African father’s son still has many lessons to share.